BMC Alpenchallenge AMP CITY - Everyday, amplified. Some bikes don’t just match a mood, they fit a lifestyle. “Very true,” laughs Chad. He’s what you might call a high-flyer: a San Francisco lawyer, father of two, an avid cyclist, and a fan of fast cars–all of which leaves him undeniably short of time. When he does get a moment for himself, he picks a bike from his shed depending on his mood. Mountain biking means escape, while selecting his Teammachine signals a hunger to go fast and push hard. But then there’s his daily ride, a bike that has pushed the others a touch further back in the garage. He nods vigorously: “The Alpenchallenge AMP City came along at exactly the right moment when I was despairing about how best to deal with the kids, the commute and general life things. Now I’ve got a mount on the back to transport the kids to nursery, and I still make it into the office on time, thanks to a little assistance on the hills allowing me to carve through the infuriating rush hour traffic.” No sweat, quite literally. Featherweight, premium handling and ride quality. 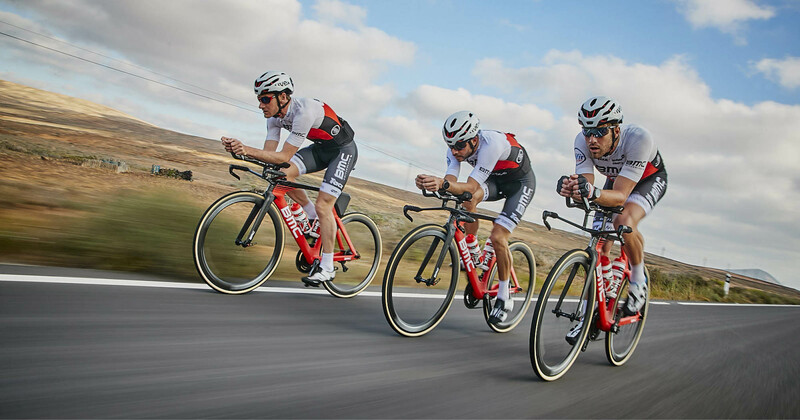 BMC’s MTT technology provides 10mm of travel for improved comfort and traction. Optimizes the center of gravity for a natural-feeling ride. Borrowed from our top-tier race machines, the D-Shape Seatpost provides superb comfort with a svelte look, and keeps weight down to a minimum. Ample tire clearance increases versatility for a variety of road conditions. Have you found all of the Easter eggs? Crossing tramlines and following bike paths up and down kerbs was equally stress-free, and seated comfort was very good. Whether that was more a result of the MTT back end, the carbon frame, tyre volume or D-shaped carbon seatpost, it’s impossible to say, but together they work.